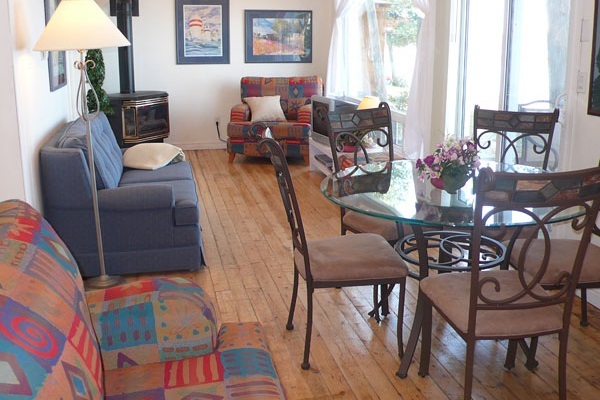 This is sunset paradise with beautiful westerly views over Chemong Lake. 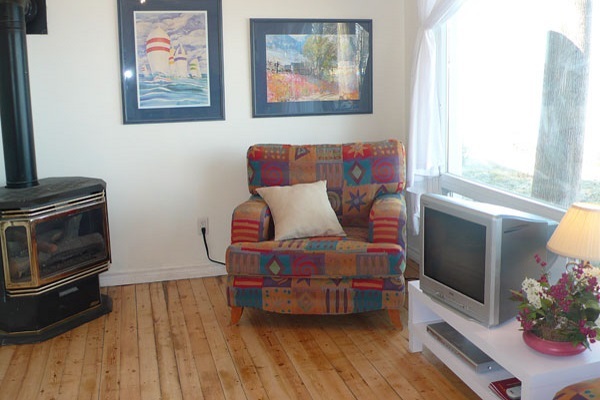 The recently furnished, renovated and redecorated cottage is sure to delight as well, and this is a perfect spot for 2 couples or a small family. Although there are neighbours to either side, this is a very quiet area towards the end of a private cottage road. 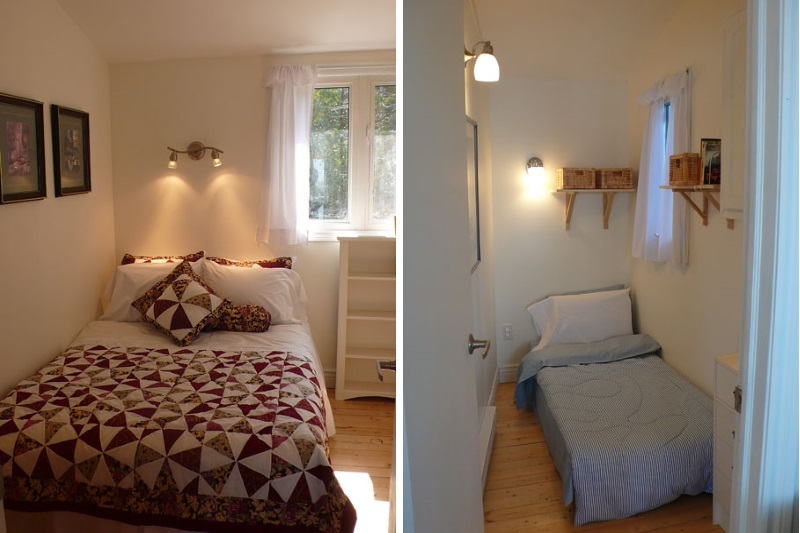 The owners of this cute cottage have renovated and redecorated the bedrooms and bathroom and the final result is a delightful location for a relaxing vacation. 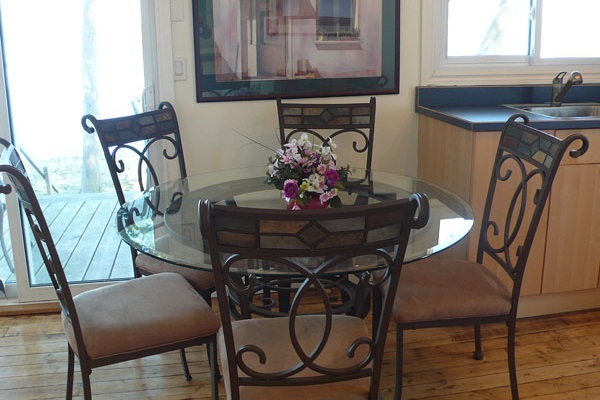 The three bedrooms are comfortably furnished and newly painted for a fresh and bright look. 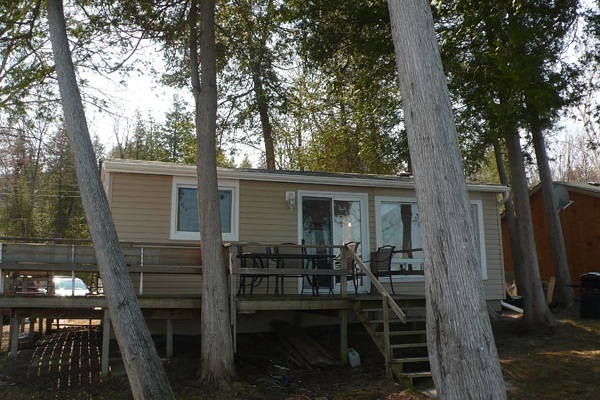 The open plan kitchen, living and dining areas have lots of windows facing the lake for fantastic views and there are sliding doors to the deck. A propane stove offers warmth on cooler evenings. The lawned gardens are great for play or just sitting out to savour the clarity of the air and watch the activity on the lake. Rent a fishing boat from a nearby marina and enjoy some of the best fishing in the area, or just take the paddleboat out for a gentle explore.. Your evenings will no doubt be spent watching the sun go down, perhaps before lighting the campfire and enjoying the starry canopy overhead. 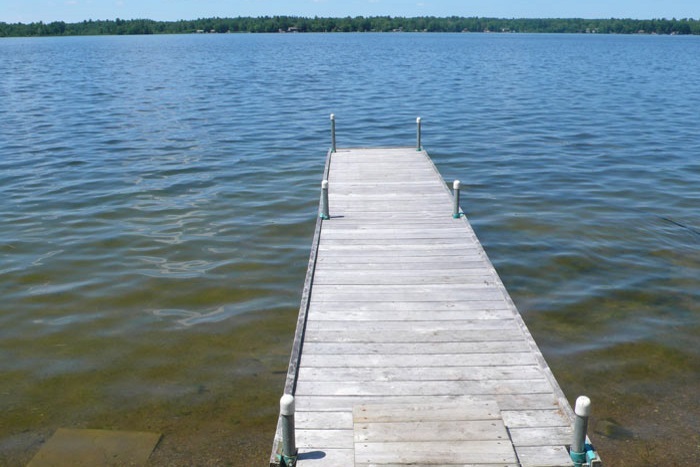 The waterfront at this cottage is particularly suitable for children as it is hard packed sand and shallow for quite a way out into the water. There are a few stones in the water so we do recommend water shoes. Further out it deepens for the more experienced to enjoy a swim. 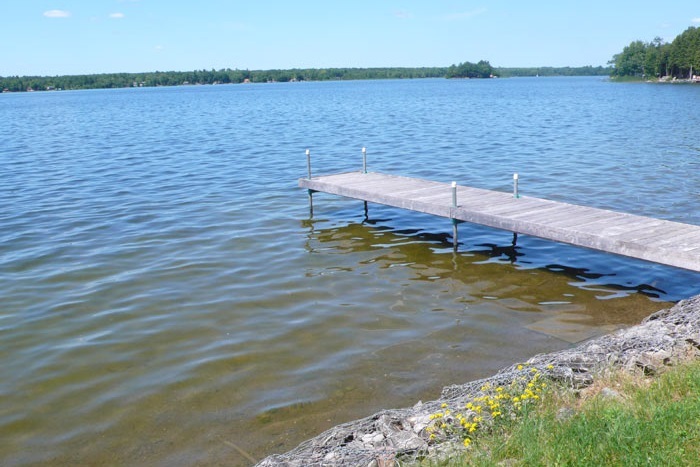 Chemong Lake is known for good fishing and boating. 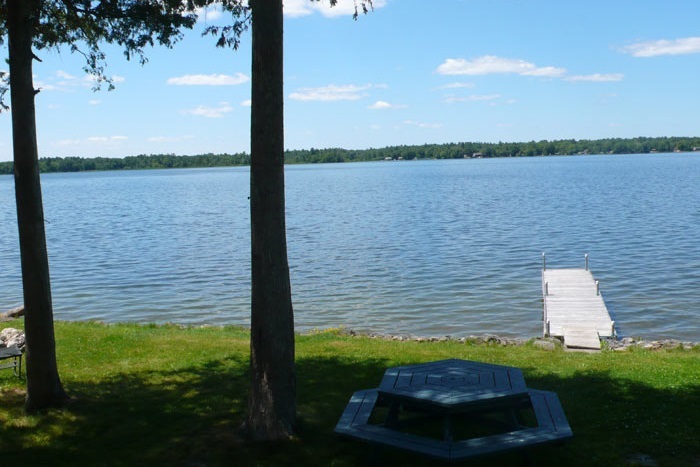 The pretty town of Lakefield is just 15 minutes away, or set out for an evening meal by the water in nearby Buckhorn or Bridgenorth. Taking a trip into Peterborough to enjoy a Festival of Lights Concert could also be a highlight of your trip. Whatever your vacation pleasure, you are sure to find it here. 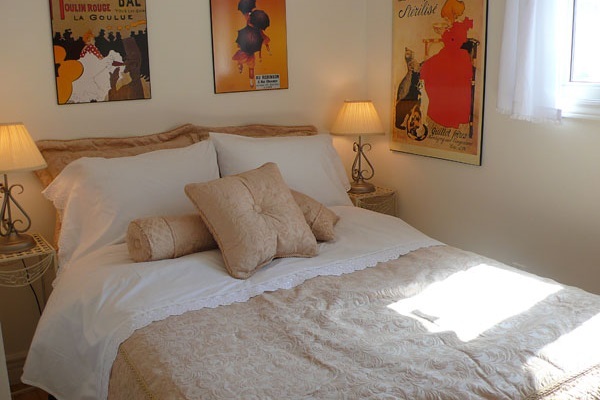 Linens & towels are provided. Please bring your own beach towels. The waterfront has a shallow entry with hard packed sand. There are some stones in the water so water shoes are recommended. The water deepens gradually. 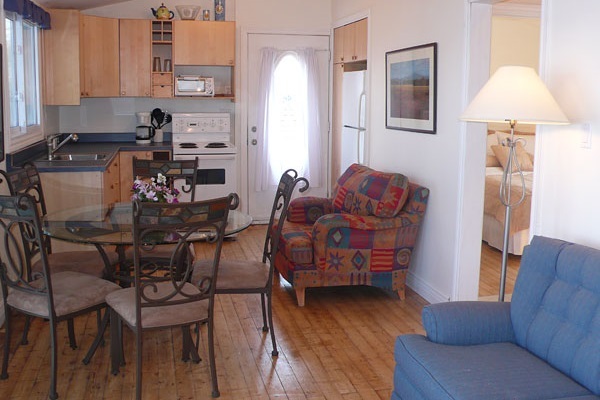 Thank you so much for the use of your cottage. It is so warm and cozy.